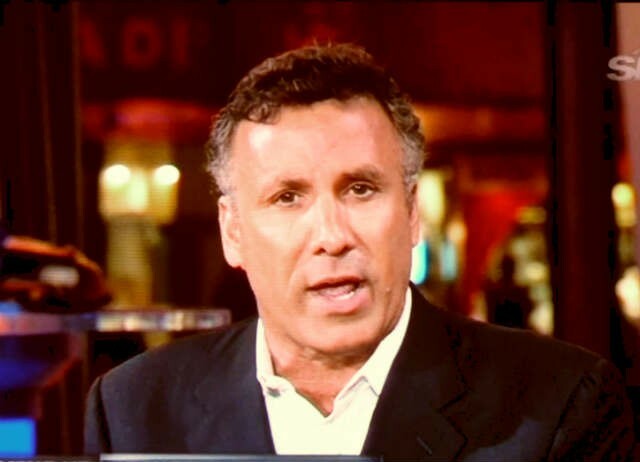 It was recently announced that Bob Ojeda will NOT be returning to SNY in 2015. After six seasons covering Mets pregame and postgame assignments, Bobby O will move on to pursue other broadcasting opportunities. The New York Post reports that Ojeda was denied a raise, and though the two sides were not far apart, could not come to an agreement. The Post also suggests that former Mets Nelson Figueroa, Cliff Floyd, and Marlon Anderson could be considered in varying roles to replace Ojeda. Personally, I’ll miss Ojeda. Even though I didn’t always agree with his perspective, I always enjoyed his passion and delivery. As a true warrior on the mound with substantial success in MLB, his opinion deserved attention and carried weight. Additionally, Ojeda’s straight-talking, no-nonsense, not-worried-about-hurting-anyone’s-feelings style was a refreshing contrast from what’s become mostly cheerleading during the game. Oh, I know some of you disagree about GKR, pointing out that Keith Hernandez frequently criticizes what’s happening on the field, but please note that I stated “MOSTLY” cheerleading. And thank goodness for Keith, because if both Ojeda and Hernandez left the network, we might not hear ANY negativity save for occasional quips from Ron Darling about pitchers being babied. I’m a HUGE fan of Nelson Figueroa, and would like to see him on SNY, but even if he can be as frank, open, and critical, it won’t carry the same heft as it did from Ojeda. Of course, I don’t even know if that would be Figueroa’s style, nor if he’ll get a role. I’ve listened to Cliff Floyd on MLB Network and MLB Home Plate and while he can be honest, he doesn’t deliver with the same vigor. Regardless of who takes Ojeda’s seat in the SNY studio, it won’t be the same. Goodbye Bobby, and best of luck! 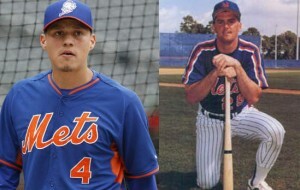 Next Sandy Alderson Compares Wilmer Flores To Cal Ripken Jr.
Janish, you are a HUGE fan of Figueroa? Why would you (or anyone) be a HUGE fan of Figueroa at this juncture? Have you ever heard him talk at length? If you don’t have time to watch all 11 minutes, start at around the 6 minute mark and watch Lenny at his finest…on GHB or something else fairly powerful. What’s not to like about Nelson Figueroa? He’s an overachiever, a class act, and a local guy. I don’t think he can pitch effectively in MLB any more but that doesn’t mean I can’t be a fan, does it? I’ve only heard him speak during interviews, never heard him do play by play or color commentary. I’m a fan of the man, regardless. Thanks for the Nails video, that was a walk down memory lane. I met Dykstra not long before that aired, when he was trying to get his Players Club magazine off the ground; it was one of his final disasters, unfortunately. From what I’ve heard, he’s out of prison and doing his stock-tip advice again. On the radio side the Mets use C.J. Nitkowski and Tim Byrdak as back-up color commentary men when Josh Lewin is off doing one of his three other full-time jobs. Nitkowski used to be a highly entertaining blogger whose blog became unreadable when he turned Evangelical, but he’s pretty solid on the radio, almost indistinguishable from Lewin in fact. Byrdak’s Mets radio debut last summerwas comically horrible, I mean, “Boom goes the dynamite” horrible. But Nitkowski is at least in the stable and could make a great TV talking head to replace Bobby O.